Welcome to the 2017-18 Cohort’s December edition of the Fulbright ETA Monthly Highlights. Even though school was not in session for most of the month, our ETAs found plenty of opportunities to keep themselves busy! A handful of ETAs welcomed guests from abroad and got to share their sites and schools with friends and family from the USA. While other ETAs attended weddings, hosted final English club meetings, and spent time exercising and socializing in local parks. Read on to find out more about each ETA’s month of December! Many thanks to all of the ETAs for their wonderful stories and photos. Be sure to get next month’s newsletter! And many thanks to our readers who emailed us their favorite articles from October and November 2017 editions (and congratulations on winning exclusive items from AMINEF). Be sure to get next month’s newsletter! Please share with us your favorite stories: which stories struck you as interesting, which teaching method is most fun or you’d like to apply, or which activity you’d like to hear more. Email us at: socmedia@aminef.or.id and we’ll post your feedback in the next newsletter and you may win a special thank-you gift from us. We asked readers what their favorite stories are from October and November 2017 newsletters. Here’re are their response – edited for clarity and brevity. 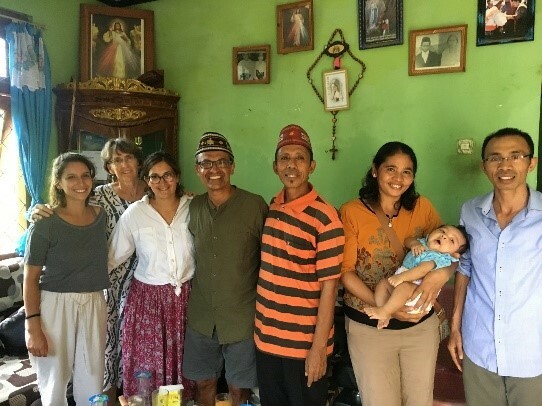 Sangat menarik rasanya bahwa Kyra Ghosh memperkenalkan dan turut serta membawa anak-anak di Flores untuk merasakan salah satu perayaan dari Amerika Serikat. 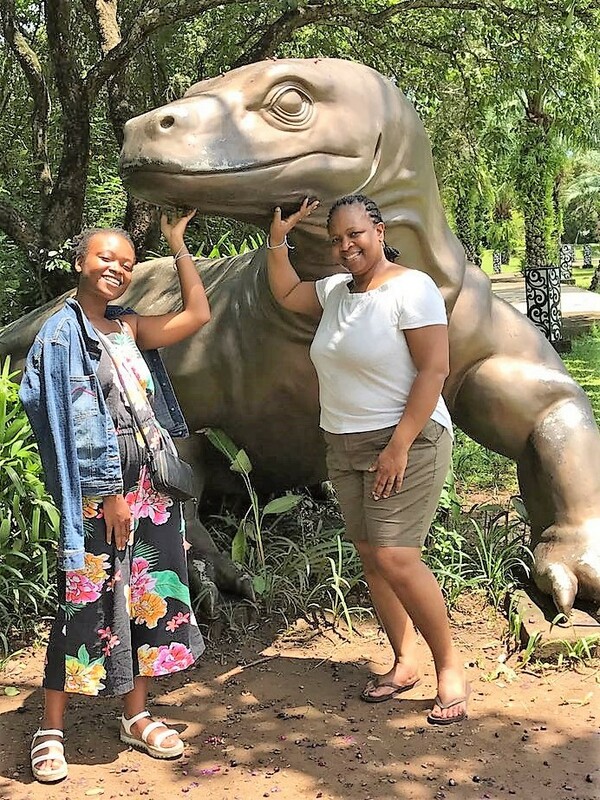 Pengalaman dari Kyra tersebut tentu akan membawa anak-anak lebih.. Read More..
During the month of December, ETA Arshelle Carter was grateful to be joined in Indonesia by her mother, Michelle Carter. To begin their mother-daughter bonding time, the pair enjoyed some rest and relaxation in Bali. 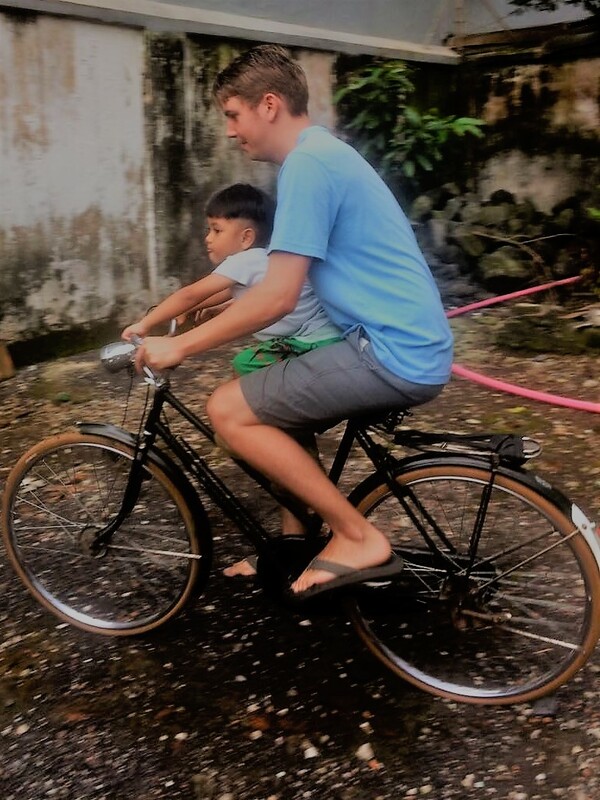 They spent time soaking up the sun at beaches and learning about Balinese culture by taking a cooking class and.. Read More..
Kendari had a group of special visitors in December! 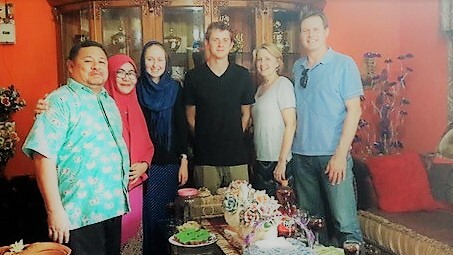 ETA Meghan Cullinan became a host in Kendari for her own family as they joined her to celebrate Christmas. She began her Christmas celebration in Singapore with her family, and together, they returned “home” to Kendari. 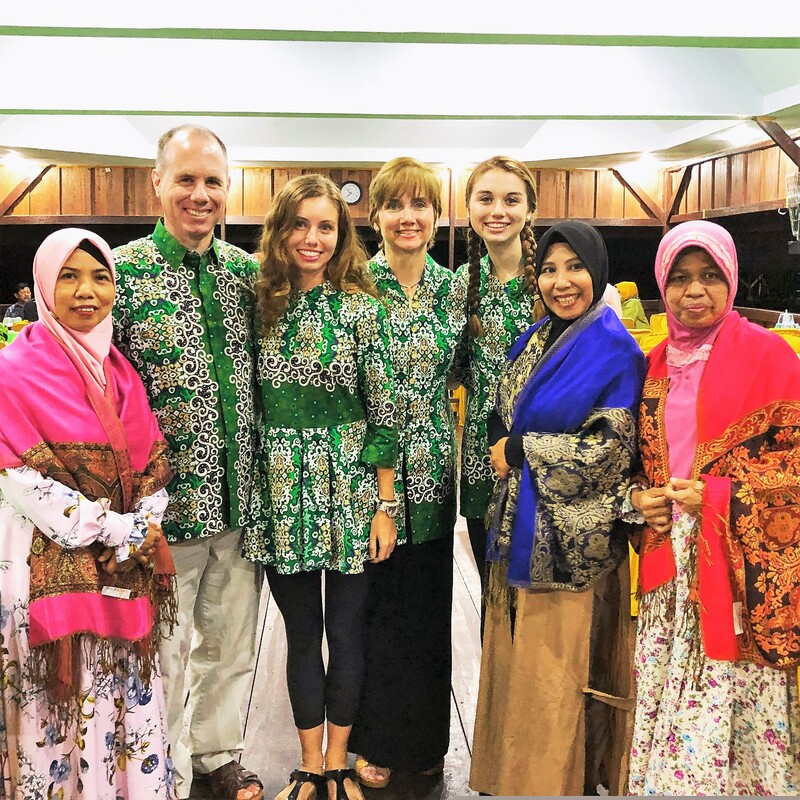 After living in two different areas of Indonesia, Meghan was thrilled.. Read More..
It’s not often that people from ETA Ian Morse’s school in Gorontalo have the chance to meet foreigners. Equally rare is an American family meeting residents of a village outside a city unheard of internationally. Ian had thus been itching to introduce his family to his school since he first arrived in July. They spent.. Read More.. This month, ETA Kyra Ghosh was lucky enough to have her family visit her in Labuan Bajo. Apart from some beach days and a trip to the Komodo islands she was quite happy to be able to share her everyday life with her family. Although her family had planned to spend a relaxing vacation in Labuan.. Read More..
On November 11, ETA Alex Bue received an unexpected email: “INTERNATIONAL SYMPOSIUM CONFIRMATION OF AGREEMENT.” The agreement called him to present on December 16 at Imam Bonjol University in Padang about the day’s subject, ”Solving Cultural and Psychological Obstacles in Learning Languages,” which he did happily. 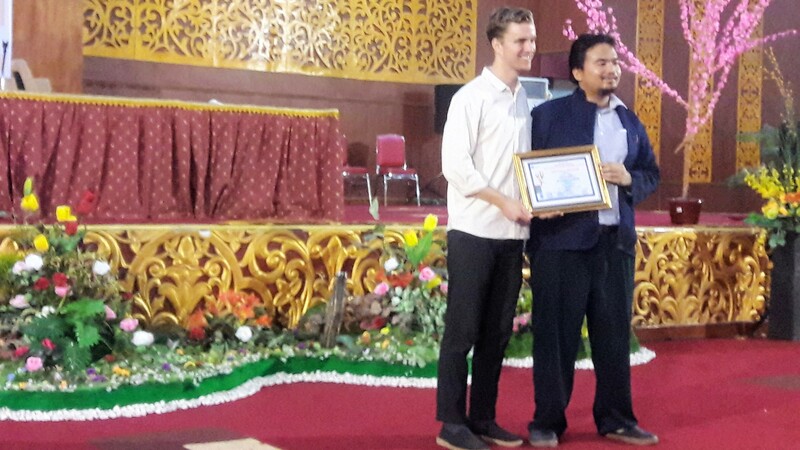 Alex joined several other speakers at the University on.. Read More.. In December, ETA Greg Sutton and his co-teachers taught an interesting lesson on descriptive texts. For this lesson, they split the class in to two halves, and drew a picture of a person on the board, with only one half of the class seeing the drawing. That half of the class would have to then.. Read More.. The final Conversation Group meeting of ETA Kate Morrow’s first semester was an exciting one. After spending time doing short semester reflections, Kate and her students discussed goal setting. In particular, how to set realistic and achievable goals for the upcoming semester and the remainder of students’ time at SMKN3 Pangkalpinang. After discussing how to.. Read More.. The highlight of ETA Katia Oltmann’s December was her work with the English club at her school. She had worked with the club throughout the entirety of her first semester at Eben Haezar. 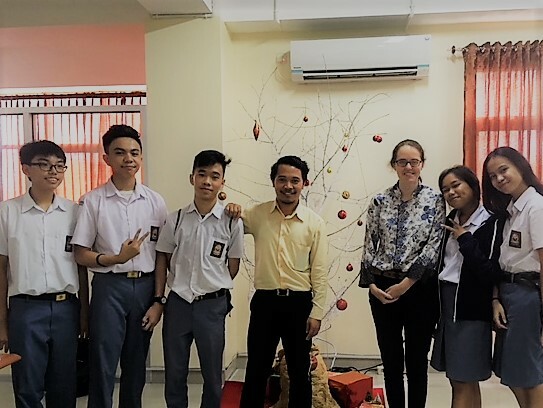 Her participation in the club has really been the highlight of her teaching experience in Indonesia. She loved her work with the.. Read More.. This December, the English club at SMKN 6 put on a play! 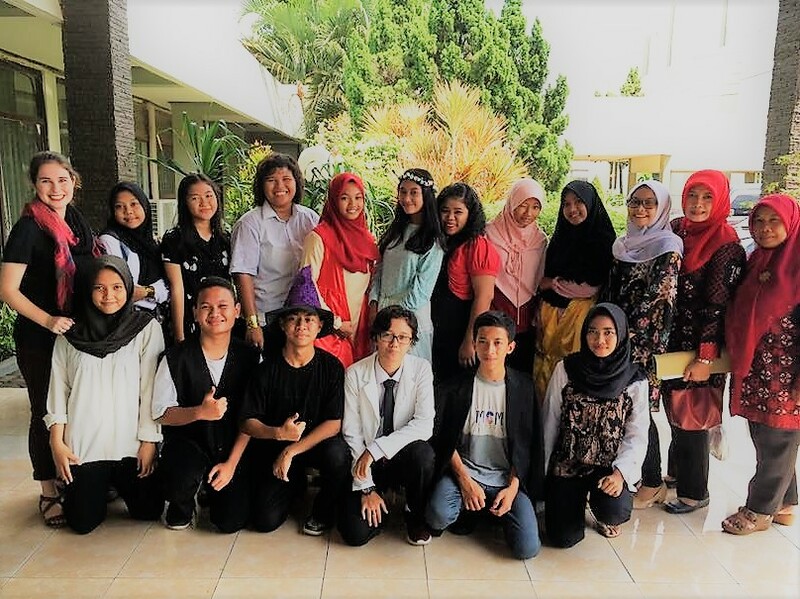 It was a mashup play of two different stories- the stories of Cinderella and the traditional Indonesian story of Malin Kundang, who turns to stone when he denies the identity of his mother. The students rehearsed very hard for weeks and came to.. Read More..